Ilene Dube reviews Berthe Morisot: Woman Impressionist, on view at the Barnes Foundation, Philadelphia through January 14, 2019. 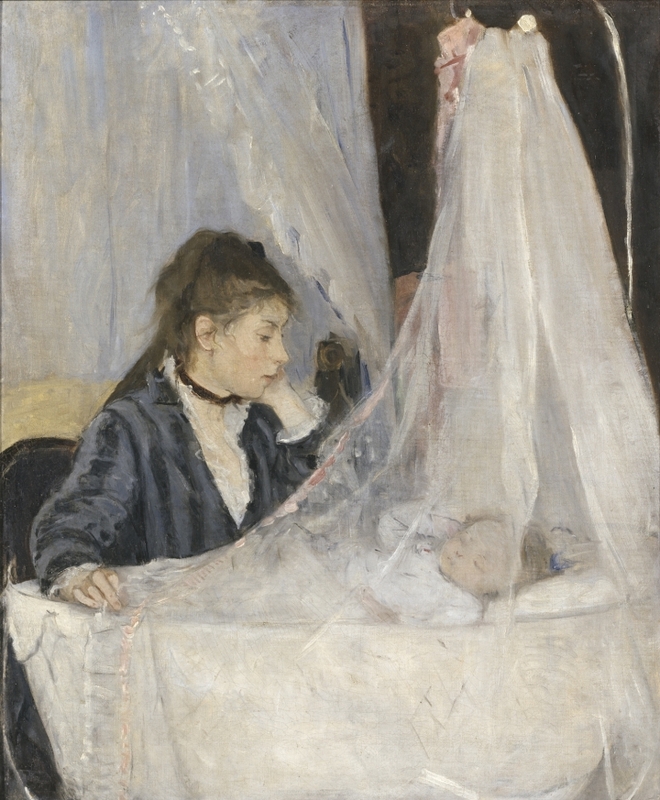 Dube notes that "... unlike many Impressionist painters who depicted women as ornamental, a part of the decoration, Morisot set her eye on working women — the cooks, the maids, the nannies and governesses who made it possible for her to work. In a rented country house in Bougival, she painted a washerwoman, hanging large white sheets. These white clothes billowing in the fresh air, with brushstrokes to suggest their drapery, could easily be abstract paintings."